Signed and dated l.r., ".../ ALFRED EAST 1883". Dreams and realities: Victorian works on paper , Sydney, 1993, p 8. 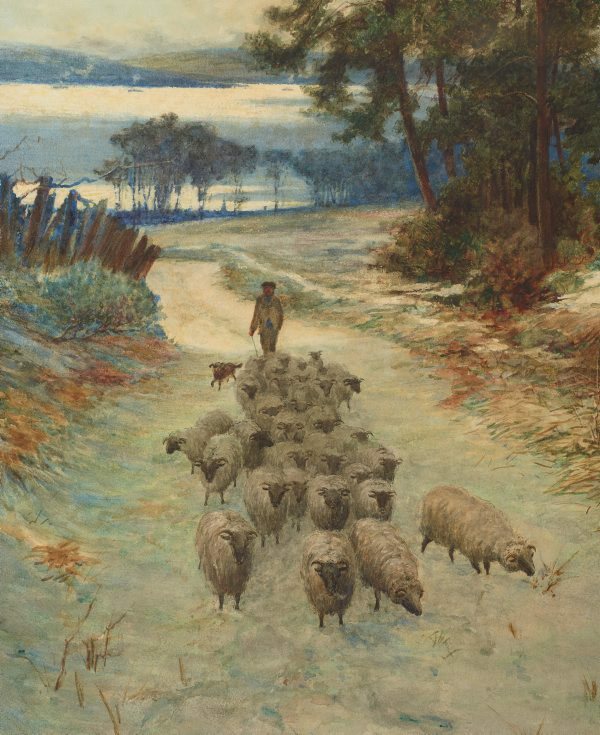 Victorian watercolours: selections from the Art Gallery of New South Wales , Sydney, 2000, p 10, no 10. Victorian watercolours from the Art Gallery of New South Wales , Sydney, 2017, pp 76–77, col ills p 77. National Art Gallery of NSW illustrated catalogue , Sydney, 1924, p 92, no 97. National Art Gallery of NSW illustrated catalogue , Sydney, 1921, p 76, no 97. National Art Gallery of NSW illustrated catalogue , Sydney, 1917, p 71, no 41. Revised editions 1918, 1919. National Art Gallery of NSW illustrated catalogue , Sydney, 1906, p 76, no 46. Revised editions 1908, 1910, 1912. Catalogue of the National Art Gallery of New South Wales, published by the Trustees , Sydney, 1899, p 62, no 436. 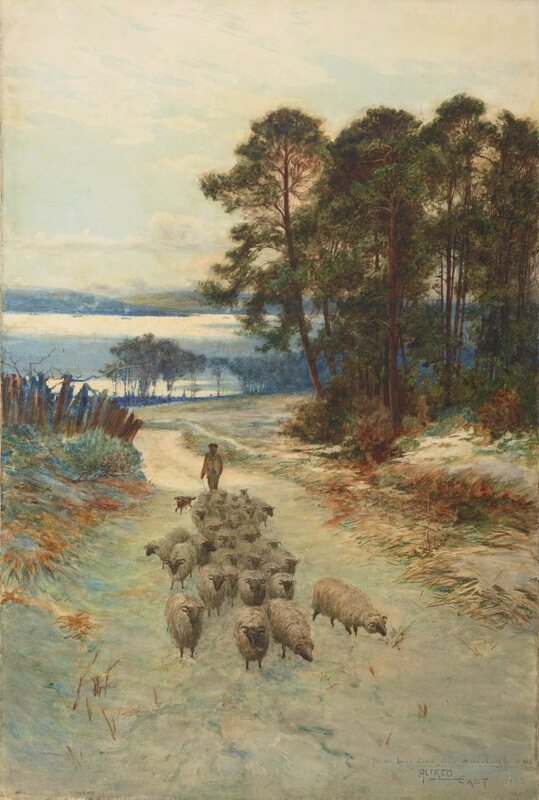 Trustees of the Art Gallery of New South Wales: Minutes 2.6.1898-13.3.1903 , Sydney, 1898-1903, p 132 (21 July 1899). Royal Institute of Painters in Water Colours. A catalogue of the 66th exhibition containing 89 illustrations by the artists , London, 1884, p 27, no 365, illus np. National Art Gallery of New South Wales illustrated catalogue , Sydney, 1928, p 113, no 136. National Art Gallery of New South Wales illustrated catalogue , Sydney, 1925, p 93, no 91. Revised edition 1926.